At the end of January 81 BC in Rome, Sulla celebrated a triumph for his successes over Mithridates. The power gathered in his hands was actually greater even if fated to vanish soon. Dictator perpetuus legibus scribundis et rei publicae constituendae, he had newly defeated the forces of populares, leading to an end the Roman civil war with the battle of Porta Collina. 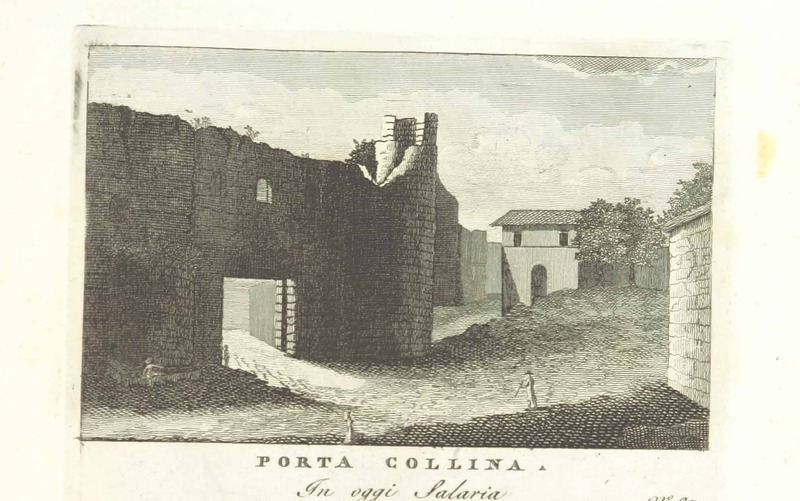 Porta Collina, engraving from Stefano Piale, Vedute antiche e moderne le più interessanti della città di Roma, incise da vari autori, in numero 100, Rome, V. Monaldini, 1820, page 87, via The British Library. So-called “Sulla”, free copy (probably from the time of Augustus) after a portrait of an important Roman from the 2nd century BC, Munich, Glyptothek, Inv. 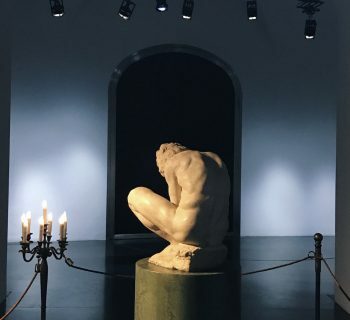 309. Around 84 BC, 2100 years ago, the tensions existing between the factions of the populares and the optimates in Republican Rome developed in the second phase of the Roman civil war. 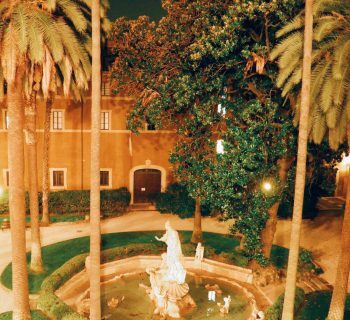 For several years in fact, the city of Rome and its provinces were plunged into a bloody civil war destined to symbolically represent the beginning of the historic dialectic between the old aristocratic and the incipient popular classes. 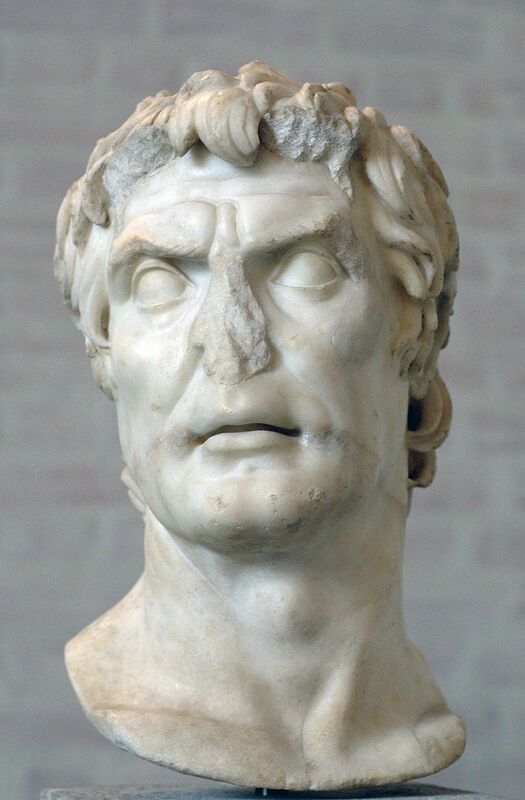 Lucius Cornelius Sulla Felix, Roman general born to the declining patrician family of gens Cornelia, decided to come back to Italian peninsula from the challenging Asian military campaigns where he had suppressed the Kingdom of Pontus exterminating at least 100 thousands men of Mithridates VI, according to Titus Livius. 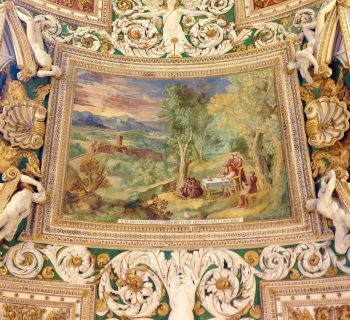 In his absence, the populares’ forces had occupied the urbe, also compelling Sulla’s fourth wife, Caecilia Metella Dalmatica, to an epic flight from their properties set on fire. 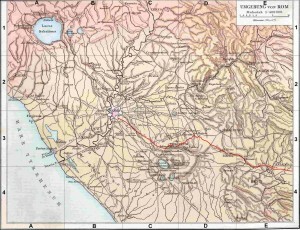 Plan of Latium with the highlighted via Latina traveled by Sulla, from G. Droysens, Allgemeiner Historischer Handatlas, 1886, via Wikimedia Commons. 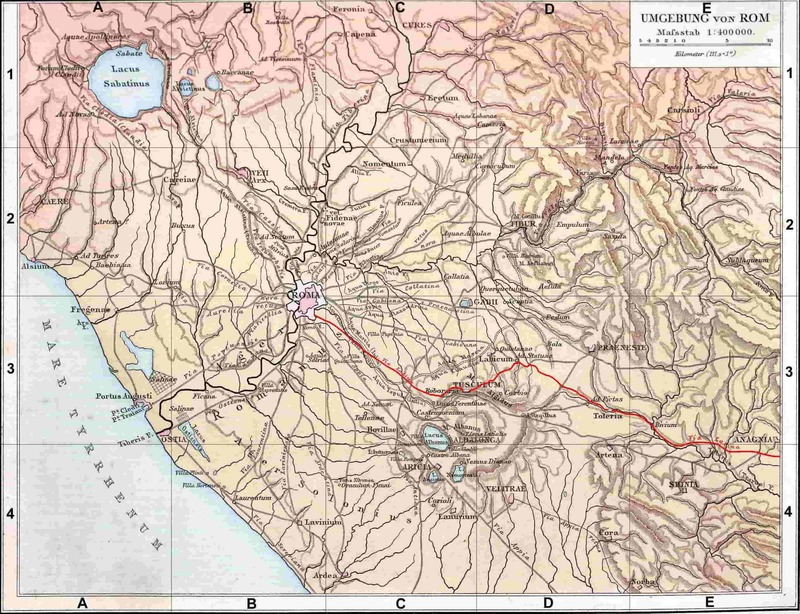 Arrived in Rome, Sulla faced the enemy army, which was numerically larger yet too much heterogeneous and disorganized. He succeeded in defeating it near the Servian Walls with the battle of Porta Collina, fought in November of 82 BC, when about 50 thousands fighters lost their lives. In this way, the Roman civil war came to an end and Sulla was able to establish one of the most renown and severe dictatorships in Roman history. Nevertheless, the order reintroduced in Rome by Sulla, especially built upon the support and loyalty of his well-organized army, wouldn’t have lasted so long. Shortly thereafter, a 22-year-old boy belonging to the same social level as Sulla but having opposite political ideas, decided to come back to Rome from Cilicia, after learning about Sulla’s death in 78 BC. His name was Gaius Julius Caesar. 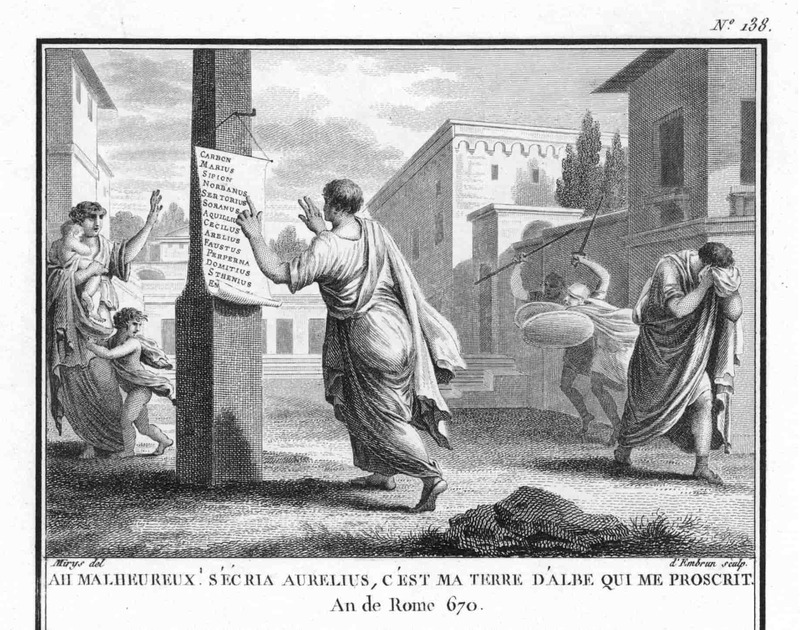 Silvestre David Mirys, Sulla orders to affix the list of the proscribed men, engraving, ca. 1799, n. 138 from 'Figures de l'histoire de la république romaine accompagnées d'un précis historique', Paris, VIII.